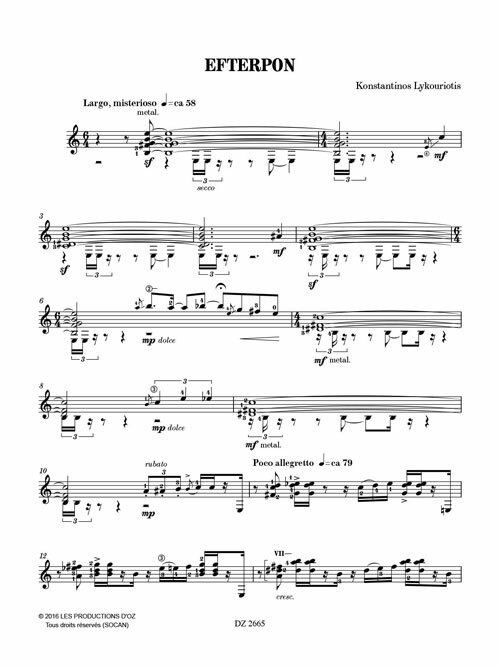 "Efterpon" derives from the word “Efterpi (Euterpe).” In Greek mythology, Euterpe was one of the nine Muses, the goddesses of inspiration for literature, science and the arts. Her name was derived from the Greek words eu- and terpo, meaning “giver of much delight." In Classical times, when the Muses were assigned specific artistic fields, Euterpe was named the Muse of Music and depicted holding a flute. 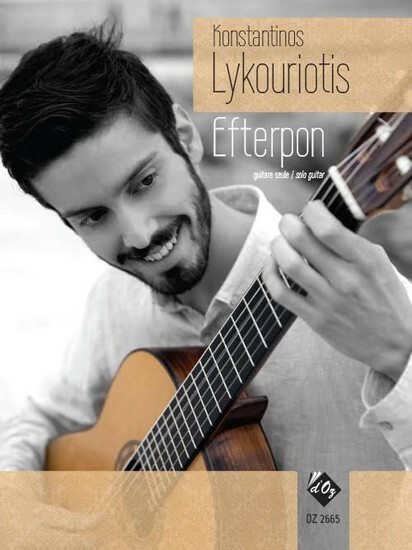 The composition “Efterpon” won the first prize at the International Competition Composition for six-string guitar during the 3rd Guitar Festival in Thessaloniki-2016.